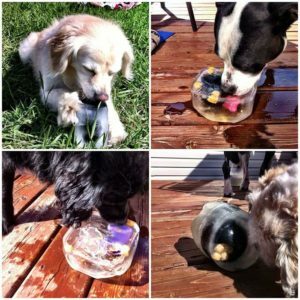 Once frozen, remove from container and place outside for your dog to enjoy! I made one for each of my dogs and they loved it. I also added a few kibbles to the water to entice them. It can be a bit messy, so it’s a great outdoor activity.